UGG. 1019066K CHE. KIDS TASMAN 2. 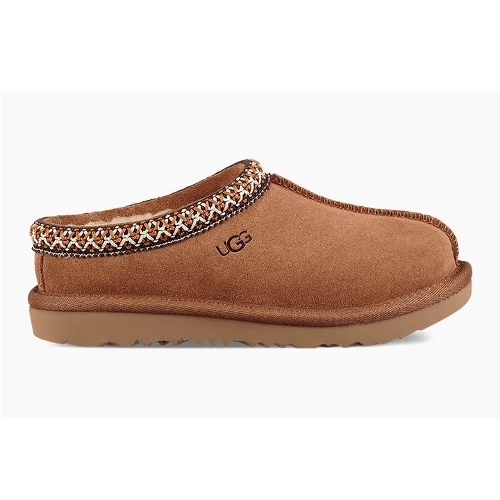 CHESTNUT.This suede slipper is sleepover-ready with its cozy wool interior and Tasman braid detail. Our durable Treadlite by UGG sole lets it travel from door to door and anywhere in between.